Can smart cards curb $370 billion in fraud? With the budget battle underway, the case for a strong identity credential for Medicare may be too good for Congress to pass up. Smart cards could help the federal government to reduce Medicare fraud and abuse to the tune of $370 billion in the next 10-years, says Kelli Emerick, executive director of the Secure ID Coalition. More than ever before, Americans believe that the budget deficit is a major problem that must be addressed. This is also a consensus across party lines. A recent Gallup Poll found that 89% Republicans, 81% Democrats and 79% Independents believe it is an issue. Emerick laid out the case for the new credentials at the Smart Card Alliance Annual Conference in Chicago. She said that the U.S. Department of Justice estimated Medicare fraud at $60 billion annually. The federal government isn’t the only one looking at this issue, states are proposing legislation that would also require stronger identity credentials for access to Medicaid. With Medicare making up 23% of the federal government’s budget, only second to defense spending, there are differing opinions on how to keep costs in line. Rep. Paul Ryan (R-Wis.) wants to institute a voucher program that would move Medicare under the control of the states and potentially cut some services. President Obama, however, wants to put in place programs that eliminate waste, fraud and abuse. “When you look at the case for preserving benefits and cutting cost how do you do it?” Emerick asks. A smart card-based ID could be one way to keep services in place while reducing waste and fraud, Emerick says. The current Medicare system has no way to truly know whether someone actually received a procedure. “Nobody can confirm that a transaction happens in Medicare and this (leads to) false claims,” she says. In a smart card enabled system, Medicare applicants would go through identity verification and be issued a secure ID. When a service is performed the person would use the card to verify the transaction. The verification would be done at the point of care and would require a second authentication factor, such as a PIN or biometric. Health care providers would also have a smart card to verify the transaction on their end. With 48 million Medicare beneficiaries and 1.65 million providers it would cost $1.9 billion, assuming $35 per person to deploy such a system, says Emerick. She estimates that $550 million would have to be budgeted annually for maintenance. Emerick believes a smart card system could cut fraud by 66%, for an annual return on investment of $37.7 billion. That equates to a $377 billion savings in 10 years. 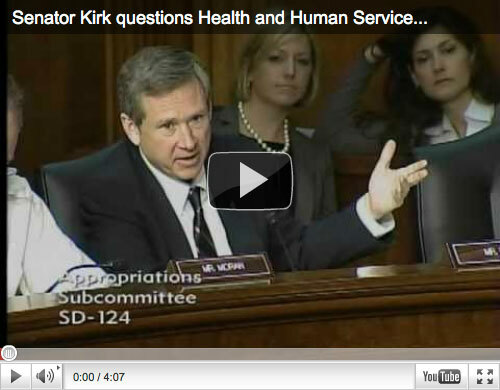 During a U.S. Department of Health and Human Services (HHS) budget hearing in March, U.S. Sen. Mark Kirk (R-Ill.) questioned HHS Sec. Kathleen Sebelius about upgrading the Medicare ID card to help prevent fraud and waste. The HHS budget request includes a record $580 million for fraud prevention, Kirk said during the hearing. Specific strategies for its use are not clear. He suggested that one could be to offer seniors a new Medicare ID card with better security so the cards can’t be as easily counterfeited. Most Medicare cards don’t have any security features, just the patient information printed on the card, though a pilot in Indianapolis is issuing a card with a magnetic stripe. Kirk said this technology is “outdated” and can be cheaply and easily replicated. Kirk said HHS should look at the U.S. Defense Department’s Common Access Card as a model for a new Medicare ID. He says the DOD has spent an average of $8 to issue smart cards to soldiers and personnel. Instead of HHS paying for the new cards, Kirk suggests that they be offered to seniors who would then pay the $8 and receive extra identity theft prevention. Whatever HHS does to add security to the Medicare card, Kirk wants to make sure the agency looks at what’s being done with credentials elsewhere in the federal government. Where Medicare is a federally run program available to all seniors, Medicaid is a state run program for low-income recipients. As with the federal program, fraud is a serious problem for Medicaid. Thus, states are also looking at better technologies for Medicaid credentialing. New York State wants to establish the “Medicaid identification and anti-fraud biometric technology program.” Proposed legislation would require the Department of Health, in consultation with the office of the Medicaid Inspector General and the Office of the Attorney General, to implement a program requiring the use of biometric technology as a means of identification and fraud prevention. Georgia is also looking at piloting a program to reduce fraud in its Medicaid program, according to legislation passed by the State Senate. The bill would require Medicaid recipients to acquire an ID card that would contain the cardholder’s photo and other security features. Initial media reports suggest the card would include biometrics, but insiders have hinted that public concern may already be derailing the use of the biometric technology. 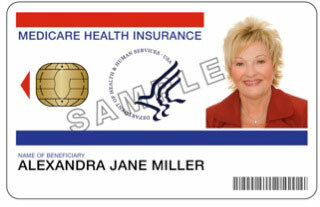 Under the Georgia plan, Medicaid recipients would be issued a card that would store the individual’s data and be confirmed against a database. When the patient arrives for an appointment the card would be scanned to verify identity. As the states consider their own reforms, it seems clear that some form of federal legislation is a foregone conclusion. On both sides of the political aisle, Medicare fraud losses have reached an intolerable point. Perhaps identity technology will prove key to helping solve this national dilemma.